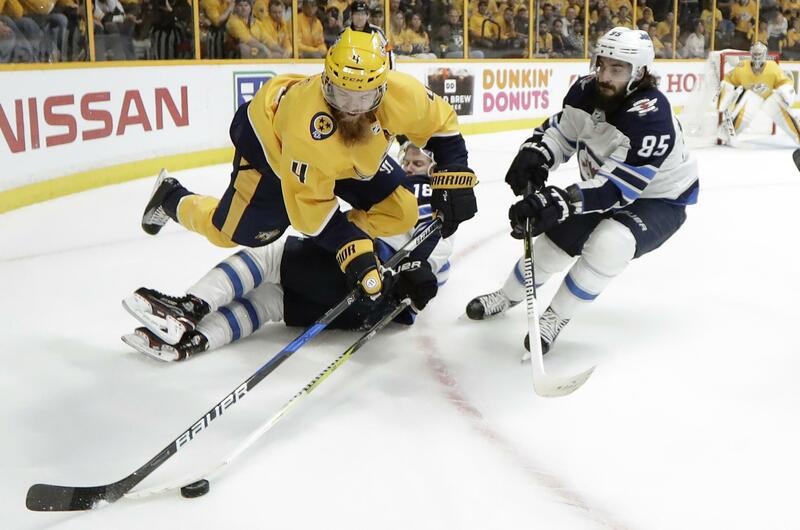 UPDATED: Tue., Aug. 14, 2018, 9:29 a.m.
NASHVILLE, Tenn. – Nashville Predators defenseman Ryan Ellis has signed an eight-year deal worth $50 million that keeps under contract through the 2026-27 season. The Predators now have three of their top four defensemen (Ellis, P.K. Subban and Mattias Ekholm) signed through the 2021-22 season and Roman Josi signed through 2019-20. Ellis scored nine goals and set career highs in assists (23) and plus-minus rating (plus-26) in 2017-18 despite playing in only 44 games due to his recovery from offseason knee surgery. He didn’t make his season debut until Jan. 2. Ellis has spent his entire NHL career with the Predators. He has 55 goals and 118 assists in 396 career regular-season games. He has 22 playoff assists to rank second in Predators history. His 27 career playoff points rank third on the franchise’s all-time list. Published: Aug. 14, 2018, 9:27 a.m. Updated: Aug. 14, 2018, 9:29 a.m.